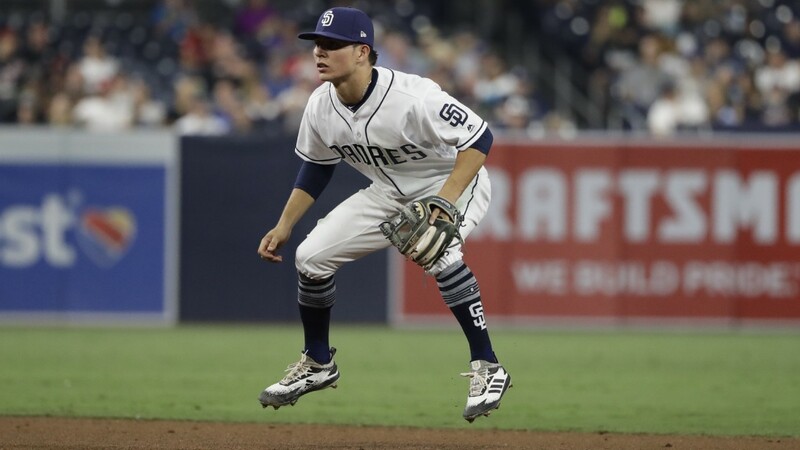 It seems that the San Diego Padres will start the season with Luis Urias at shortstop. The infielder is capable of playing the position, but what is to be expected of the young Mexican right-handed hitter? 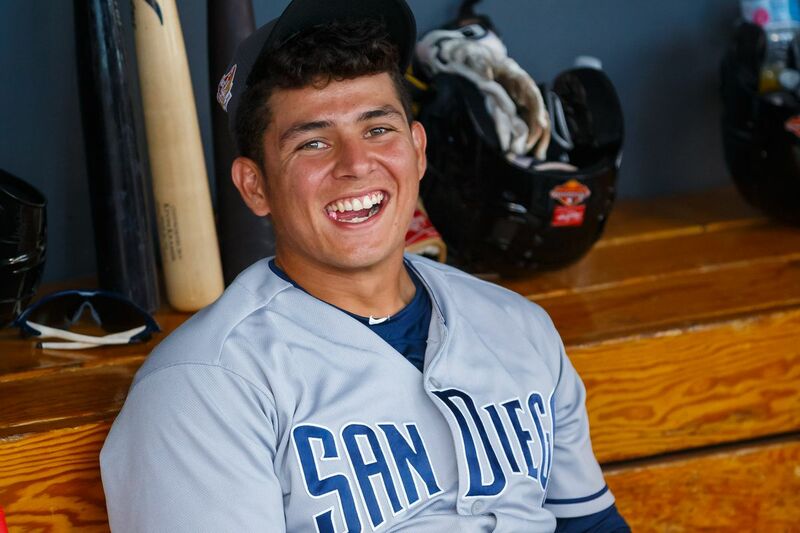 Luis Urias is seen as the future second baseman for the San Diego Padres. But, with the signing of veteran second baseman Ian Kinsler this offseason, pushing Urias out of the spot. This move is temporary, as Kinsler is seen as a placeholder for uber-prospect Fernando Tatis Jr. However, Tatis is a shortstop through and through and, while it would be nice to see him in the Majors immediately after Spring Training, it is most likely that he will head to Triple-A for a month or two so the Padres can pick up an extra year of arbitration. So, with Kinsler at second (for now) and Tatis in the Minors, that makes Urias the early favorite to be the Opening Day shortstop barring injuries. After the departure of Freddy Galvis to free agency, Urias is perhaps the only in-house option at shortstop. San Diego has two other options to play shortstop on the 40-man roster, but neither is seen as starter material. Greg Garcia, who was picked up from the St.Loius Cardinals off waivers in November, is seen more as a utility infielder bouncing around the field than a starter, while Javier Guerra struggles with both the glove and plate at the Majors may have cost him not just a job, but his roster spot. It is known that Urias has the bat to stick in the majors, but how will he field the shortstop position? First, it is important to note that this is not Urias’ permanent station. As soon as Tatis comes up to the Majors, Urias will immediately slide back to the keystone with Kinsler popping in at second and third base on occasion, giving the starters a day’s rest. Urias was signed out of Mexico as a shortstop in 2013 when he was a 16-year-old but didn’t start playing the position regularly until 2017 with Double-A San Antonio where, in 530 innings played, he committed 14 errors with a Range Factor of 4.16 and turned 25 double plays. He improved at the position in 2018 with albeit a smaller sample size, playing only 165 innings, but committing only two errors and flipping eight double plays. In their most recent update, MLB Pipeline named Urias their second-best second base prospect behind Milwaukee’s Keston Hiura and the 23rd overall prospect, praising his “good lateral range, reliable hands and above-average arm strength” while commentating that, while second base is his primary home, he is more than capable of manning shortstop for short periods of time. Urias has to prove, first of all, that the hamstring injury that finished his season early last year is fully recovered. So far, he has been doing some light running and fielding after plans for him to play in the Mexican League was scrapped for fears of reaggravating the hamstring issue. He has expressed confidence that the injury will not be a bother come playing time. Realistically, Urias won’t be making a lot of Galvis-like plays at shortstop, nor will he be winning a Gold Glove. Those honors will go to Tatis. But, until Tatis arrives, Urias can be counted on to provide solid defense that can give fans a breath of fresh air after years of watching players like Alexei Ramirez and Clint Barmes at shortstop. lifer padres fan win or lose said it before… get Solarte back and roll. or sign derek dietrich .265 ba 16 hrs please no moose or maikel and god forbid head cases like harper and machado. The Padres have 10 in the top 100 MiLB prospects. That’s the same # in the top 100 players in MLB that use to be Padres. Wow, that is fascinating. Yet I doubt things will change. Around the time Preller came in the Padres had the top farm system. Years later, they have the top system, but only after being given millions and millions of dollars to spend (e.g. on international signings; $7 million to obtain a 2nd draft slot; on a below avg 1B; $13 million for a AAAA pitcher), several picks at the top of the draft, freedom to trade whatever assets they had at the ML level to get more prospects, etc. Yet he is praised for being a wonderful GM, but the team still stinks. So, if “somethings gotta change,” it is the GM that needs changing. For the month Urias has to play SS, does any of this matter? As the article notes, Tatis is up soon and Urias goes back to 2B. The more pressing matter is, who plays 3B? MLB trade rumors is saying SD is in on Moustakas. That would be another in a string of foolhardy or blah moves. They should try to sign Machado. If that fails, then make a trade. Worse comes to worst you piece it together with Kinsler, Vosler and the implausibly still on the roster Pirela. Is Tatis really up soon? To get that extra year of control, he may not be called up until mid-May. Then there’s the super-two issue that MAY come up. To avoid the super-two and an extra year of arbitration, Tatis would have to be held down until at least mid-June, and the season is nearly half over. Do you want Urias playing at SS for 11-12 weeks? Kinsler is still solid with the glove, but his bat has been fading for a couple years now. Javier Guerra is an above average glove at shortstop, probably better than Urias, but needs extended playing time before he’s cut loose. And he WILL be cut loose if he can’t hit – 40-man roster spots are going to be at a premium in the next couple years. It may not be optimal offensively, but giving Guerra a shot at SS would keep Urias where he will eventually be, at 2B, and better able to mesh with Tatis when he arrives. Given the questions at third base, having a slick fielding shortstop would be a plus there too. Then there’s the setback Urias had in rehab that caused him to bypass winter ball. Having him play shortstop might be too much. Galvis wouldn’t sign here for what would be a half year at short until Tatis arrives, then the rest of the year as a utilityman/trade deadline candidate. He signed for one year with the Jays, assured he’d be their shortstop the entire season.